Back in January, American Express launched the new SimplyCash Plus Business credit card, but only made it available to select small business owners. Now, it has made the card available to the general public. What’s special about this card? There are a couple of things that stand out. First, while you are given a credit limit on the card, it also almost acts like a charge card, in that you are given the ability to spend beyond your credit limit in order to help pay for larger purchases, while still earning cash back. Second, it offers a good deal of flexibility in cash back category choices. 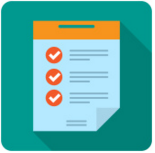 The card earns 5% cash back at office supply stores and wireless telephone services, 3% cash back in one of a list of eight categories and 1% cash back on other purchases. The 5% and 3% categories apply to the first $50,000 in purchases per year. What’s also nice is that there is no annual fee and a signup bonus worth up to $500. 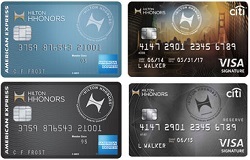 Through May 4, 2016, the Hilton HHonors Surpass Card from American Express is offering its most lucrative signup bonus ever–100,000 Hilton HHonors bonus points when you spend $3,000 in purchases in your first 3 months of cardmembership. There is, however, an annual fee of $75, which is not waived for the first year. For a limited time, through March 30, 2016, you can earn 35,000 bonus Starpoints when you apply for a new Starwood Preferred Guest credit card from American Express and spend at least $3,000 in your first 3 months of cardmembership. You can also earn the same 35,000 Starpoint bonus by applying for the Business version of the card and spending $5,000 in your first 3 months. 35,000 Starpoints is the highest signup bonus ever offered for the card. As a point of comparison, 30,000 bonus Starpoints had previously been the high-water mark for SPG Amex bonus, typically offered just once per year, while 25,000 Starpoints is the standard offer.